Lie: I am not worthy. 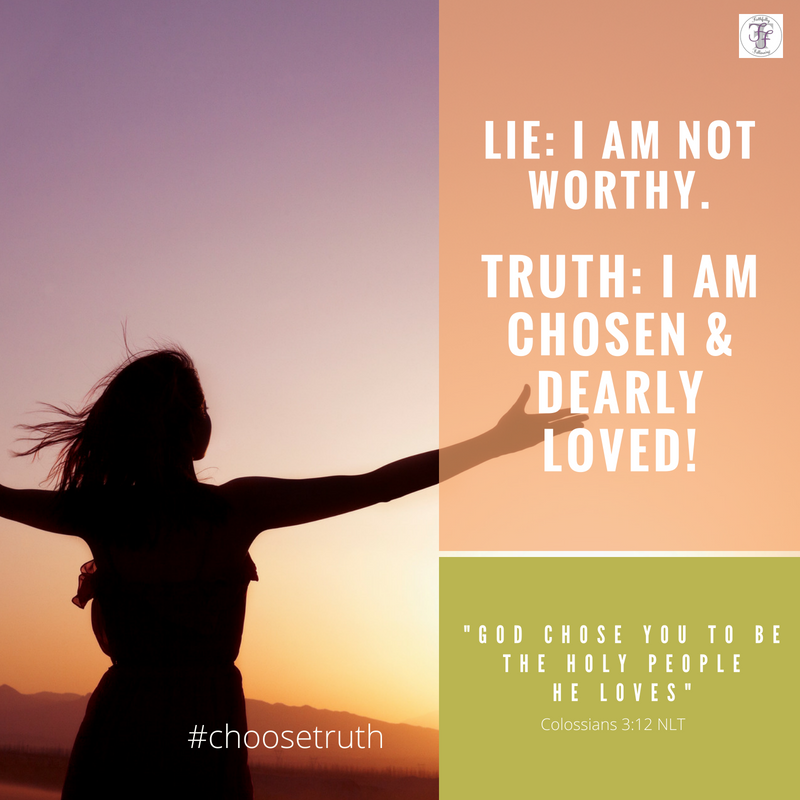 Truth: I am chosen and dearly loved! Throughout my daughter’s childhood, I never doubted that God answered prayers. Time and time again, I saw the undisputable evidence of God’s work in her life. 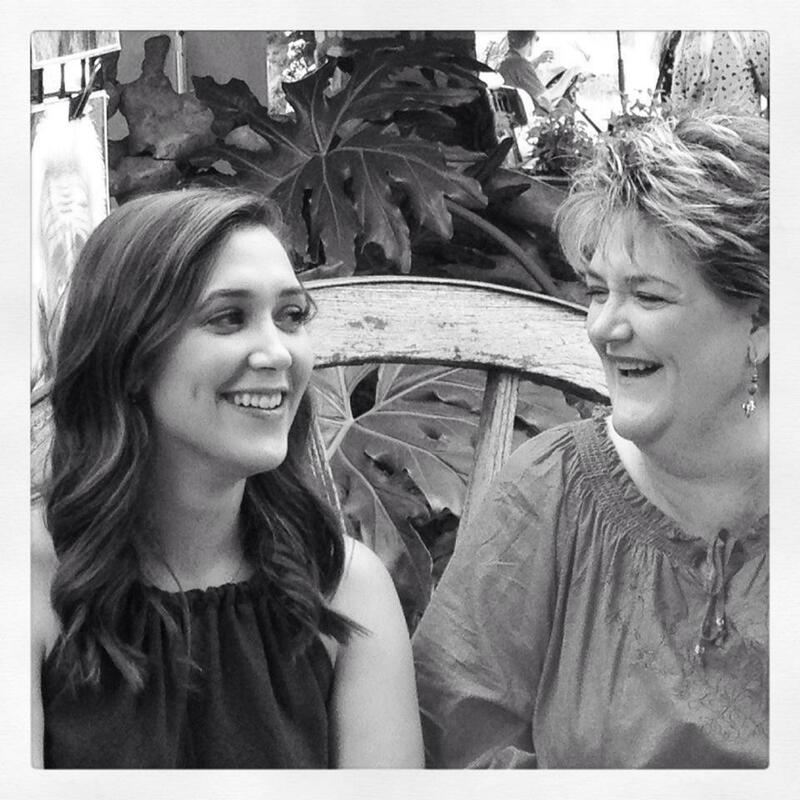 My girl was happy and thriving, unaware of the turbulence in her parents’ personal lives. That was my daily prayer as I strived to parent her. Please, Lord, do not let our hurt, our mistakes, our anger, our broken marriage negatively affect our little girl. With each passing year, her faith and confidence soared. Without fail, as I prayed for answers to guide my girl through each teachable moment, God always came through. Sometimes I’d look back in sheer amazement of God. As she approached college, I asked God to open doors for her. Again, He generously answered. My daughter is now an adult passionately working for God’s kingdom. During those adolescent years, I prayed thousands of prayers for her. But, I didn’t pray for me. With such irrefutable, concrete proof of God’s goodness, why didn’t I? Because I believed the sneering lie of Satan: I was not worthy. Though I prayed often for my daughter, I didn’t want to waste God’s time on me. Satan convinced me I wasn’t worthy of God’s love. Other people mattered to God, like my daughter, but not me. I didn’t deserve God’s favor. I walked into a chapel one weekend deeply convinced of my unworthiness. What I didn’t know was this–when I couldn’t pray for myself, others were. And, thus began God’s work of grace and restoration in my life. Spilling tears and years of hidden brokenness, I walked out of that chapel finally free of Satan’s taunting lie. Sweet sister, is this you? Has Satan buried his ugly lie in your thoughts? As Suzie encourages in “The Spirit-Led Heart,” reach for your promised Helper, the Holy Spirit who lives within you. Read Psalm 139:13-14. Who does the scripture say created you? God’s word (truth) says we are fearfully and wonderfully made. Do you trust this? The Psalmist proclaims God’s works are wonderful. We are a work of his hands. Are you living with a lie that takes this truth from your heart? Perhaps you feel that you are unworthy because of sin. Rest in the truth. The truth doesn’t ask us to earn our worth. It reminds us we are chosen and loved, always. It also ensures us that Jesus came for all of our sins because God so loved us! You are such a good Father. You have loved us forever. You thought of us before we were formed, as we were formed, and after. Great is your faithfulness! Great is your love for us! Thank you for choosing each one of us. Help us trust that we are your daughters, chosen and dearly loved.